Only a few months after the release of The Hunger Games: Catching Fire, Jennifer Lawrence and co-stars Josh Hutcherson and Liam Hemsworth are already doing their customary The Hunger Games appearances, this time for the movie series’ third instalment: Mockingjay. Jennifer was all delicate and feminine at the 67th Annual Cannes Film Festival with her lace top and matching lace skirt from designer powerhouse Christian Dior. 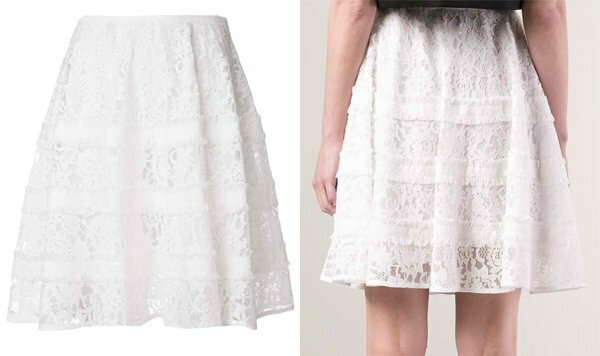 The cropped top features a printed scenery at the center and the skirt boasts of an A-line silhouette that flattered the actress’ legs to no end. 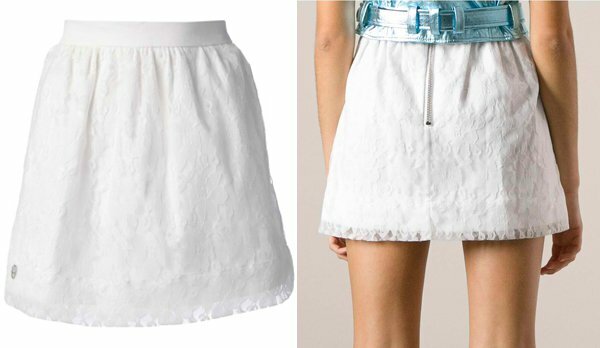 The delicate lace overlay of the top and skirt gave this ensemble a fresh and summery vibe. As the face of Dior, it’s not surprising to find the 23-year-old wearing the brand every chance she gets. We can’t say the same for others but we’re definitely not tired of seeing her in Dior couture yet. Jennifer accessorized well too. Her Irene Neuwirth Large Rainbow Moonstone Pyramid Earrings with Diamonds complemented the lace top and skirt. She also threw on the Irene Neuwirth Spike Ring and the Jillian Dempsey Snake Arm Cuff for a minimalist look. To cap off the fresh and light ensemble, the actress kept her feet elegant in Christian Louboutin So Kate Pumps in Silver.